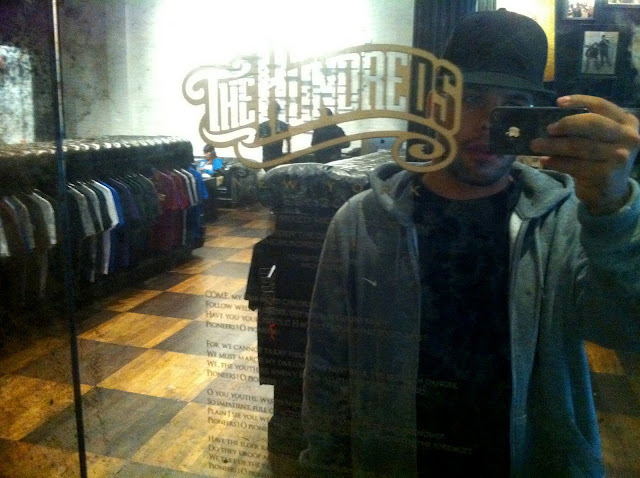 Finally made my way over to The Hundreds NYC Store today with Dredlife who ended up copping one of the iller shirts in the newly opened spot for LA-based, Bobby Hundreds and friends. As much as I've always been pretty reserved about popular street brands, there was more than a few pieces hanging around I really liked. There was this one hoodie I thought was really special I might really have to go back for soon.